It's all go in this action-packed picture book. 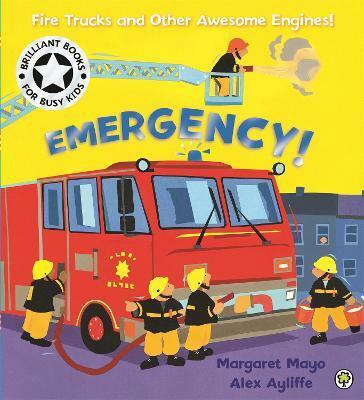 Discover a different emergency vehicle on each page, from fire engines and police cars to lifeboats, breakdown trucks, rescue helicopters and more. With bright, bold illustrations and fun, rhyming text, this is perfect for sharing with vehicle-mad little ones. Children will love spotting all the details on each page and joining in with all the different sounds; as speeding ambulances 'wheee-ow' and police cars 'vrooom'!